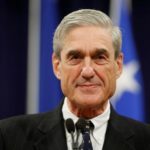 Even as Special Counsel Robert Mueller and the foreign government-owned mystery company face off in the Supreme Court arena in a high stakes Trump-Russia battle, Mueller also has a number of other legal proceedings playing out against various people in various legal arenas. Today he scored an important, if expected, victory over a key Trump-Russia figure. Robert Mueller has built a perjury case against far right lunatic Jerome Corsi, who is accused of being Roger Stone’s go-between with WikiLeaks (he denies this). Corsi has admitted to having conspired to help Roger Stone sell a lie to Congress while under oath, so if Corsi can be convinced to cut a plea deal against Stone, it could in turn force Stone to cut a plea deal against Donald Trump. Corsi isn’t ready to accept his inevitable fate yet, so instead he decided to take Mueller to court. Suffice it to say that it’s not going well for Corsi. Jerome Corsi filed a lawsuit against Robert Mueller and nearly every investigative arm of the federal government for $350 million, based on well, nonsense. His strategy consisted of hiring a far-right stunt lawyer who traffics in conspiracy nonsense, and then trying to convince the courts to assign his suit to a certain federal judge who is known for not liking how the Feds tend to carry out these kinds of investigations. That strategy has already essentially failed, as the courts have refused Jerome Corsi’s request to hand-pick his own judge, as reported by BuzzFeed’s Zoe Tillman. Corsi’s nonsensical lawsuit isn’t going to get him anywhere with any other judge, so his delusions of magically defeating Robert Mueller are now dow the drain. This should put Corsi one step closer to a plea deal, which is something that Mueller clearly thinks is an important component in the chain reaction of taking Donald Trump down.